Given the classic shoe models in the Vans product line such as Sk8-His, Old Skools and Half-Cabs that has sustained skateboarding’s technical requirements for decades, it’s not often that an entirely new Pro Model is added into the mix. So when a new Pro Model does appear, you know that a heavy investment of time and money was put into the R&D department to make the shoe perform the best it can, and that the shoe was well deserved for the Pro. In this case, we have the newest model to be added into the mix, the Kyle Walker Pro. If you’ve watched any of his parts, from when he was a young buck in Real’s “Since Day One” to his Vans “Propeller” Part, you know that his progression and gnarliness is on a perpetual upward climb. Not to mention, he’s only 22 years young. His skating speaks for himself, as he’s already a veteran when it comes to big rails, big gaps, style and speed; if you need a refresher, we recommend you watch his “In Color” part, or wait for his Volcom “Holy Stokes!” part to be publicly released. Let’s face it, he even had a near death experience after getting hit by a car, but was back on his board 3 months later ripping up Oklahoma’s local parks and getting some last minute tricks for his Volcom part. With the amount of insane footage he put out in the past 5 years, it’s hard not to blow up on the radar and given a well deserved pro model from Vans. We here at Weartested were given the opportunity to weartest his new shoe check out the review below to see how it performed. The Vans Kyle Walker Pro fits true to size. 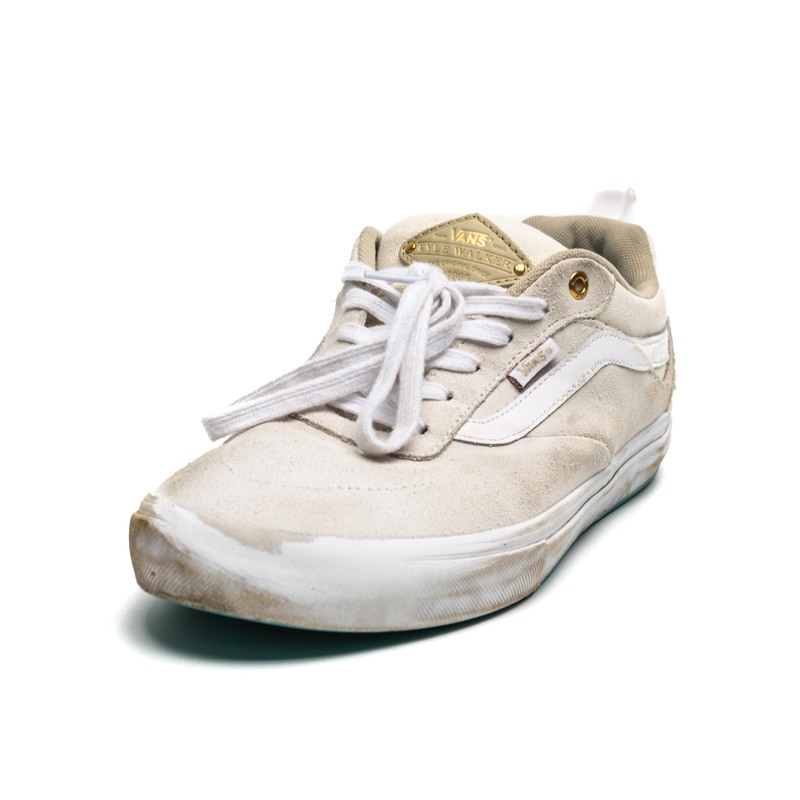 The durability of the Kyle Walker Pro was very good, with three main points that helped prolong the lifespan of the shoe. For starters, the quality of the materials used in the shoe proved to be very high. 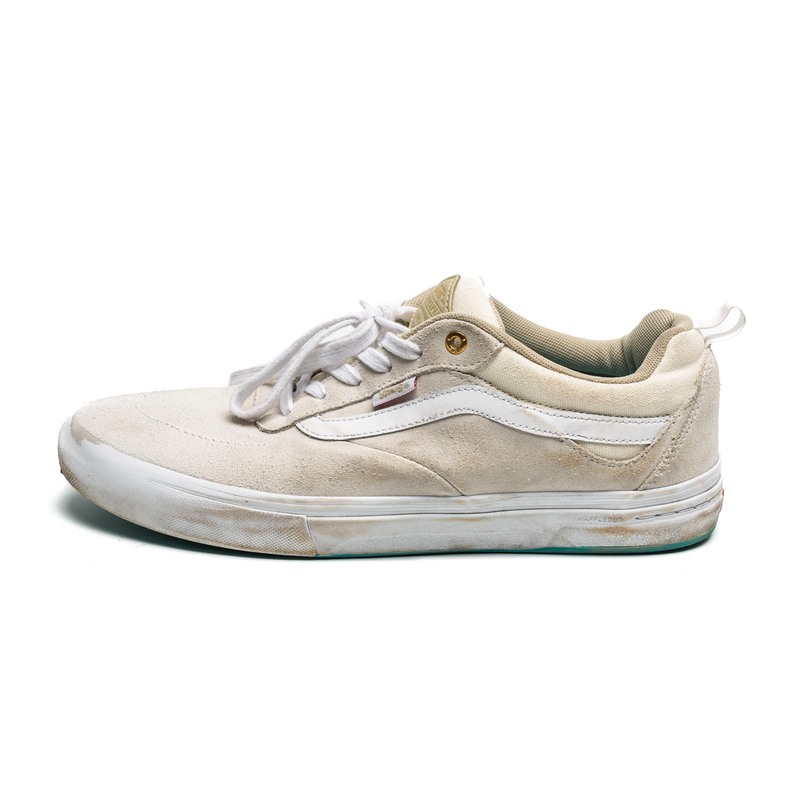 While other Vans models have had the vulc and the suede rip in the 10 hours of skating, the Kyle Walker Pro’s vulcanized rubber and suede was quite resilent to the abuse from griptape. Another aspect of the shoe was the positioning of seams around the toe cap. There was only one seam that held the toe cap together, and it was placed much further from the kickflip hole than other shoes. This is a critical point of contact for griptape and by positioning the seams further back prevents any seams that hold the toe cap together from ripping apart, and affecting the structure and durability of the shoe. 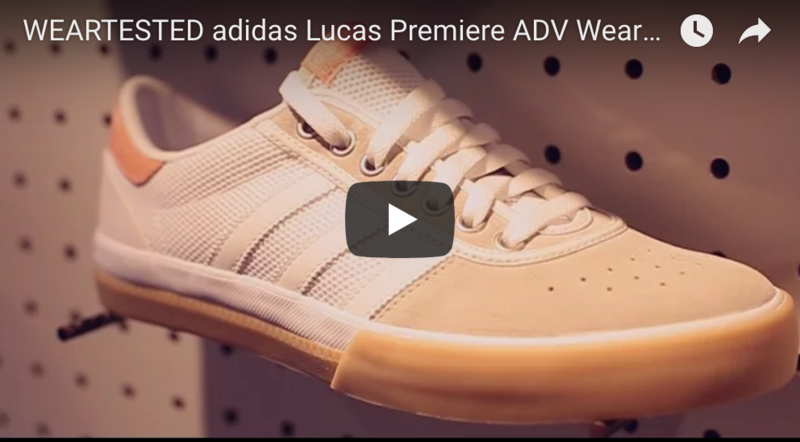 Lastly, Vans implemented their patented Duracap technology into the toe piece of the shoe that was also seen in the AVE Rapidweld and Gilbert Crockett Pro models. This Duracap technology is essentially a fully fused rubber that sits right below the high quality suede, and almost provides support as both a second layer of defense in case the suede rips, as well as a layer of rubber to sustain the stability of the toe piece. With these three technical elements, the Kyle Walker’s durability proved to sustain extremely well during the first 10 hours of skating. In the past, most Vans models weren’t fully adapted for high-impact skating. But after establishing the Pro Skate Series product line, Vans put a bunch of money into R&D to produce the Ultra-Cush HD, their take on an effective insole that stabilizes, absorbs impact, and protects the feet during high-impact skating. 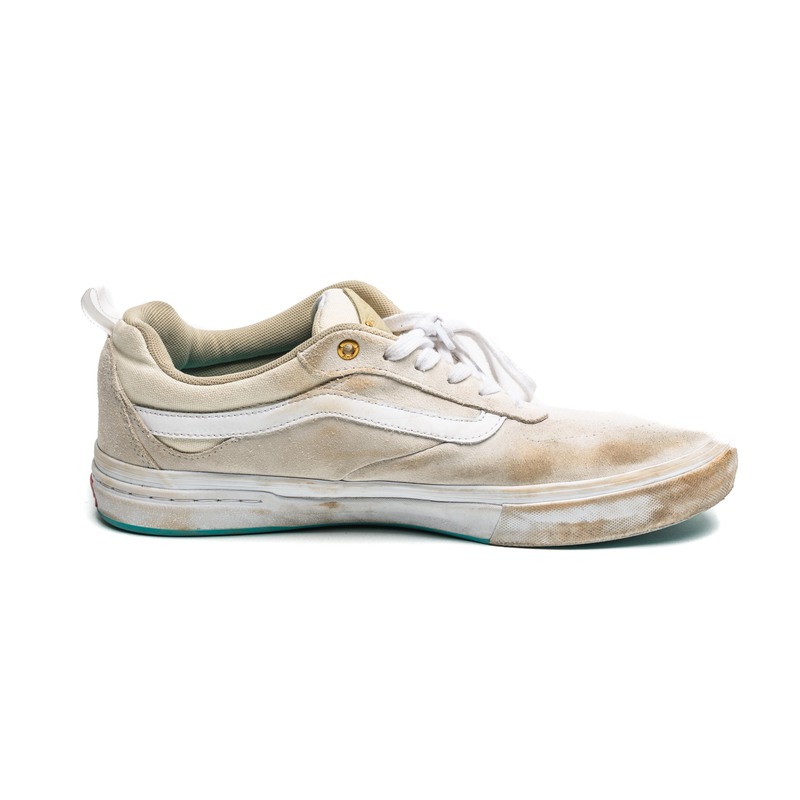 While other Vans models have used the polyureathane Ultra Cush HD impact insole, the Kyle Walker Pro seems to be the most compact and effective. With that said, it’s not entirely because of the insole itself. In fact, what makes the cushioning excel in the Kyle Walker Pro is actually the added support found in the topline, the collar, the heel and even the tougne, that integrate with the cushioning of the insole to create a homogenous cushioned protection. The Kyle Walker Pro is far from the thinly padded silhouette most shoes have nowadays, that use less to give you more “boardfeel”. Instead, the whole shoe is well padded from the sidewalls and heel to the insole itself and jumping down stairs and gaps feel safer since the foot is well locked in among the cushioning. Moreover, the tongue is way fatter and padded to secure your feet in place against the Ultra-Cush HD insole. In all, cushioning of the Kyle Walker Pro was well-favored. After skating a bunch of different models that feature thin sidewalls, one piece toecaps, and thin tongue, it was refreshing to skate the Kyle Walker Pro. The shape of the shoe is a bit wider than your average shoe, and while most shoes have a more angled topline from the midfoot to the heel, the Kyle Walker Pro rounds out and is pretty much the same width from the midfoot to the heel. Although it’s much wider than most, the cushioning in the sidewalls, topline and even heel make the inside of the shoe feel just right. With that said, it does take a bit of time to get used to the overall fit of the shoe and break in, but once broken into, the shoe skates good. A bonus of the shoe was the added heel support on the collar of the shoe, that provided more support for your achilles tendon. Boardfeel and grip is definitely highlighted by Vans’ Waffle Cup construction, as this feature was also seen in the Crockett Pro, and is the revolutionary way to have cupsole support along with vulcanized boardfeel. As seen in the pictures, the sole of the shoe has the Wafflecup cupsole, and from the midfoot to the toe, has a seperate layer of vulcanized rubber attached on the outside to ensure optimal grip. 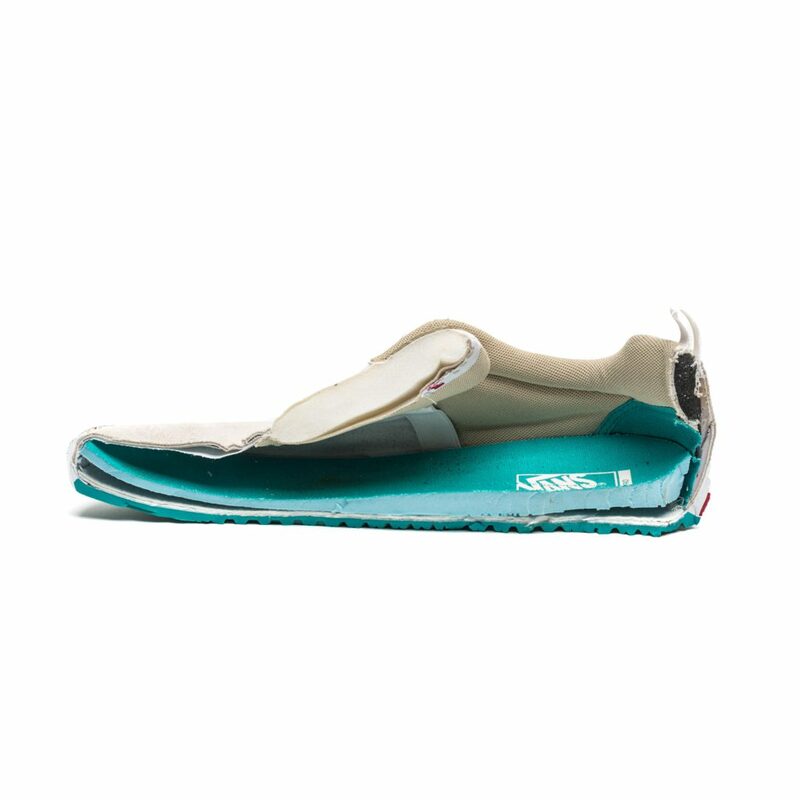 The cupsole construction of the sole had undeniable support that tied in perfectly with the Ultra-Cush HD insole. The vulcanized part of the sole, however, proved to be phenomenal for grip, but sacrificed a bit for the boardfeel. The sole of the shoe felt a bit thick from the cupsole construction and didn’t offer optimal boardfeel as expected from a Vans shoe. 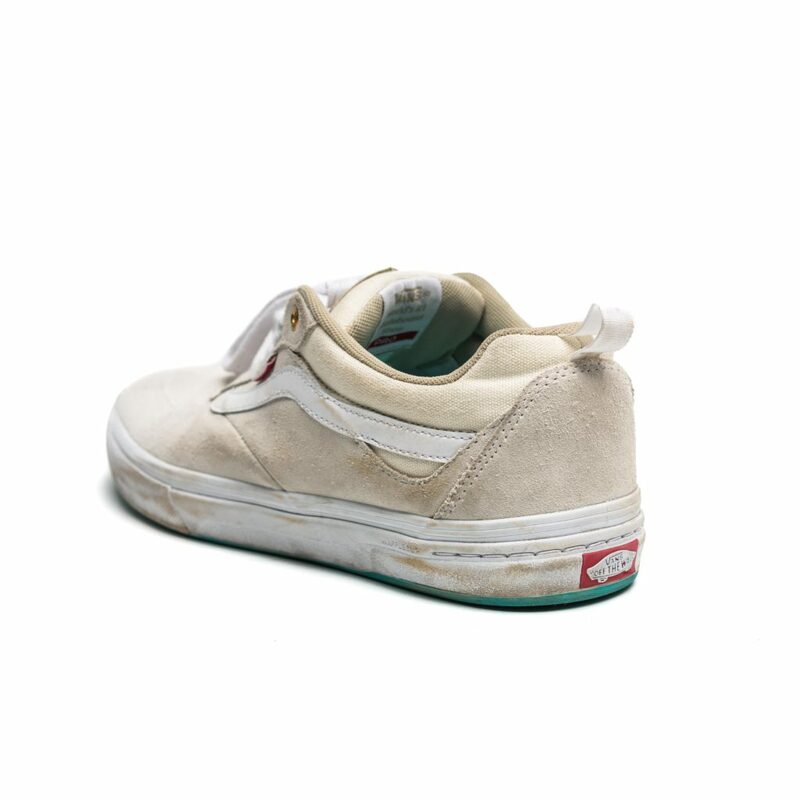 With that said, the shoe itself is quite different from other Vans Pro Skate models, and is one of the few to offer the Wafflecup Construction. The grip from the vulcanized rubber was much better than expected; most of the time the vulcanized rubber sheds off and tapers quite dramatically due to griptape abrasion, but in this case, the vulcanized rubber lasted quite well and didn’t even give way for the suede to be torn. The sole features the classic waffle pattern, and during the 10 hr test, the grip of the sole was great, no blow outspots were seen. Stability of the shoe was impressive. As aforementioned, the padding in the sidewalls and heel secured the feet in place, and the heel counter was also a good supportive structure to stabilize the shoe. However, with all the padding, the shoe is definitely a bit more on the heavy side, and may take a bit of getting used to. One aspect of the shoe that does need some improvement is the breathability of the shoe. With all the padding and thicker tongue, it’s easy for the feet to sweat more and the heat that develops in the shoe doesn’t have much room to air out of. While some shoes lose stability due to the trapped moisture in the shoe, the Kyle Walker Pro maintained it’s shape and form and proved to be quite stable. One detail of the shoe that should be noted is the heel tab that allows you to lock your feet into the shoe much easily. The Kyle Walker Pro is a refreshing new model to be added into the Pro Skate product line and proves to be a defining Pro model when it comes to durability, cushioning, grip and stability. However, tweaks and minor improvements could be made to ensure better boardfeel, reduce the weight, and allow for a more breathable shoe.